Can I make a confession? I only recently had my first Snickerdoodle. I had heard through the grapevine the Mrs. Fields was the gold standards so I started there. When I tasted that amazing little package of goodness I understood at long last what all the fuss was about. I set about finding a way to make those bad boys at home and after a few test recipes (hint: you HAVE to use the Cream of Tartar!) 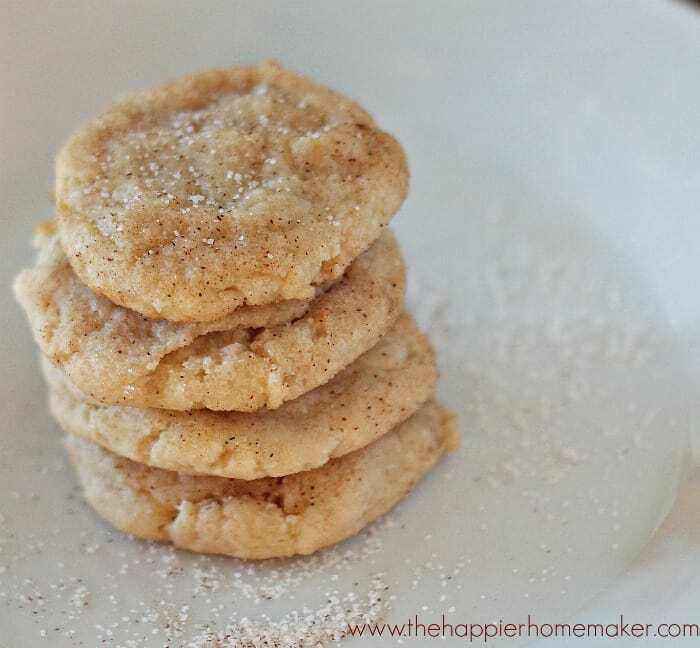 I’ve finally found the very best Snickerdoodle recipe! Using your hands, roll dough into 2″ balls then flatten slightly and place on plate. Refrigerate for at least one hour before continuing-PLEASE don’t skip this step-your dough will spread and ruin the batch if you don’t chill it first, I promise! Preheat oven to 350 degrees. Spray cookie sheet with nonstick spray or line with parchment paper of a Silpat. In a small bowl combine 1/4 sugar and 3 tsp cinnamon. Roll dough balls in cinnamon sugar and place on cookie sheet leaving cookies at least 3″ apart. Bake for 8 minutes-don’t over bake unless you like your cookies crispy-I prefer mine soft and chewy in the middle so 8 minutes is perfect in my oven. You want the middles just barely set, even slightly doughy still-it will firm up as it sits. Allow cookies to cool on baking sheet 5 minutes before removing and cooling on a rack. 1. Do NOT skip the chilling step-it’s a sure-fire one way ticket to a bad turnout. 2. The Cream of Tartar is is essential for that fluffy light center-if you don’t have it you can omit it from the recipe but know that you’ll have more of a sugar cookie texture (but they still taste great!) If you want the classic Snickerdoodle texture though, you’ll need the Cream of Tartar. Do you love Snickerdoodles? These are on my yearly holiday baking list for sure from now on-oh, and they freeze great too! Oh, I love Snickerdoodles! Can’t wait to try your recipe! How much cream of tartar and baking soda? The recipe only says 1/4, but of what? Thanks. SO sorry Liz-I totally messed that up-it’s 1/4 teaspoon for each, I’ve updated the post, thanks so much for catching that! Thank you for that. I’ve never heard of these before so look forward to trying them out. 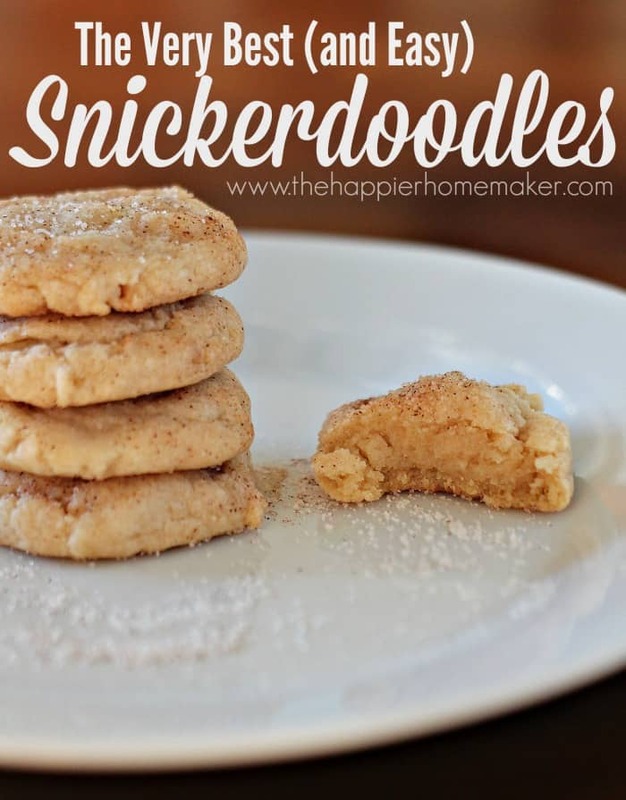 I can’t wait to try this, I have been craving Snickerdoodles and have not found that *perfect* recipe. Yum! I just about jumped through my screen there a second ago! It’s been so long since I’ve baked snickerdoodles. I’m definitely coming back to test out your recipe some day soon!